I'm not familiar with Blake Eckard, the writer/director of Bubba Moon Face, a dark yet far from dreary fable about what appear to be hopeless lives in what appears to be hopeless middle America. From what I've been able to gather, this is Eckard's fourth full-length feature in recent years and if the others are anywhere near the quality of this film then it pains me to have not discovered this filmmaker earlier. Bubba Moon Face, so named due to an amalgam of identifiers afforded a baby that is seen regularly throughout the film, was completed just prior to the St. Louis International Film Festival this past November and is now floating about in indie world looking for festival opportunities and other distribution outlets. Bubba Moon Face is the kind of film you find in indie and microcinema film fests, though it's a bit too dark and a bit too "indie" to garner much in the way of awards attention. It's a refreshingly, though depressingly, honest film about cycles that may never be broken and family trees that simply can't be chopped down. Horton (Tyler Messner) is a drifter who is drifting back to his smalltown Missouri home for the funeral of his mother. Of course, as nearly anyone who has ever gathered at a family funeral can tell you, the experience isn't as simple as all that. Horton will have to deal with his younger brother, Stanton (Joe Hammerstone), and his father, Gus (Joe Hanrahan). He'll also find himself smack dab in the middle of one of his brother's one-night stands with a woman named Sabetha (Sylvia Geiger) who shows up with the aforementioned baby in tow. Oh, and then there's Leslie (Misty Ballew). Leslie's a barmaid in town now, stuck in her own cycles of which at least partial responsibility must be assigned to her childhood experiences with Horton. If this all sounds like a bit of a dysfunctional family downer, well, it really kind of is...but, it's a dysfunctional family downer with such clarity of vision and purpose that it's impossible to not keep watching it throughout its 86-minute running time. Much of what can be said about Bubba Moon Face arises from the shadows of this baby, Bubba Moon Face, who is seen silently yet vividly throughout the film. In so many films, this baby would represent renewal, hope and redemption. Here? Not a chance. As much as Bubba Moon Face is the kind of film that is open to and even encouraging of interpretation, it would seem that in this film this small infant actually represents the perpetuation of the cycle. There are times when Cody Stokes's camera just sort of lingers upon this small child as if to say "This is it. This is all there is. Welcome to the world kid. We f***ed it up and so will you." The performances are fine across the board, with Joe Hanrahan particularly standing out as Gus, a disturbing little feller with a lover half his age and a penchant for smalltown drugs and alcohol. Hanrahan plays Gus out like the kind of guy whose house you avoid and the kind of parent you tend to thank God you didn't have growing up. Joe Hammerstone also really shines as Stanton, while Tyler Messner's take on Horton is so low-key that it's jarring when you get to the end of the film and realize that he actually feels like the normal one here. Misty Ballew and Sylvia Geiger are also both terrific here. 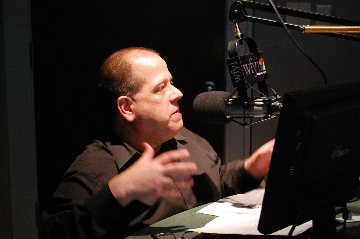 Bubba Moon Face may not be a one-man show, but Eckard does serve as writer, director, editor and producer. D.P. Cody Stokes lenses the film and manages to capture both the starkness of the reality and the beauty of this small town in Missouri. Erling Wold's original music is nothing short of stellar. Bubba Moon Face will hopefully continue to find venues for distribution along with additional festival opportunities. While its low budget occasionally impacts the tech quality, the truth is that the film's simplicity is perfectly suited to this grassroots story told with honesty, conviction and clarity by Blake Eckard. If you get a chance, check it out.